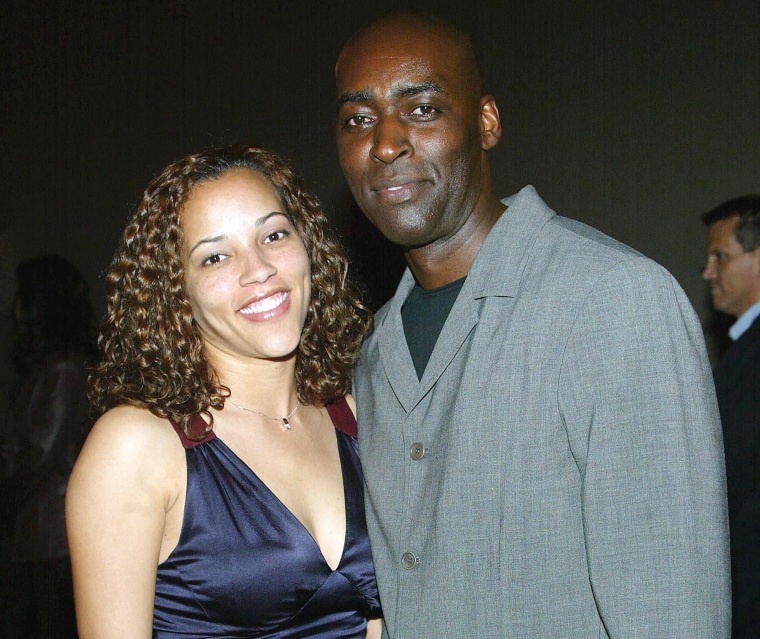 "The Shield" actor Michael Jace was charged Thursday with murder, accused of fatally shooting his wife in Los Angeles minutes after she returned home with their two young boys. Jace, 51, was arrested early Tuesday after calling 911 Monday night and telling an operator that he shot his wife, according to police. NBC4 is scheduled to speak with Jace's attorney later Thursday. He is expected to be arraigned Thursday, but the Los Angeles County District Attorney's Office did not specify a time. Prosecutors plan to ask that bond be set at $2 million. The body of April Jace, 40, was found after 8:30 p.m. Monday with multiple gunshot wounds to the upper body in a hallway at the couple's home in the 5400 block of Brynhurst Avenue. Neighbors reported hearing arguing coming from the home moments before gunfire, police said. The home is in Hyde Park, about 10 miles southwest of downtown LA. The couple’s two children, both under the age of 10, were home at the time of the shooting, according to police. The children are now with family members, police said. Jace faced accusations of domestic violence in his previous marriage to Jennifer Bitterman. The couple divorced in 2002. According to April Jace's Facebook page, the couple would have celebrated their 11th anniversary next month. She had posted multiple photos of her children, her family, friends and an anniversary photo taken last year of her and Michael Jace sitting and smiling at a table with a caption that read, "Happy 10 year anniversary to us." April Jace worked at Biola University in La Mirada as a counselor in their financial aid office. Michael Jace is best known for his role as LAPD Officer Julien Lowe in "The Shield." He has also appeared in such films as "Forrest Gump," "Boogie Nights" and "Planet of the Apes." Jace filed for bankruptcy in 2011, citing debts of more than $500,000.